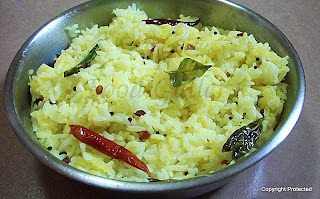 Mamidikaya Pulihora or Mango rice - a simple and delicious quick rice recipe made with raw mango and tempered with spices. 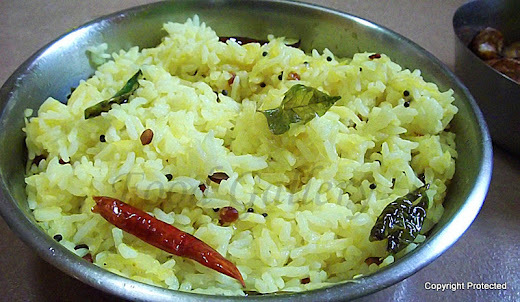 This is very similar to lemon rice. 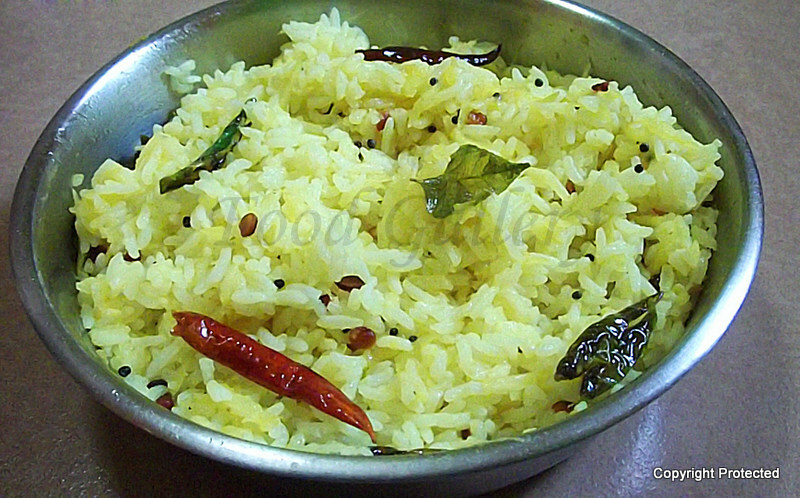 If lemon rice is one of your favs, you will love this one too. I am a fan of all quick rice varieties from South India - Lemon rice, Tomato rice/pulao, Puliyodharai, Coconut rice to name a few. These come in handy when you are running short of time as they are simple and do not require too many ingredients, plus they taste yummm too. Cook the rice and let it cool in a wide basin. Peel and grate the mango. 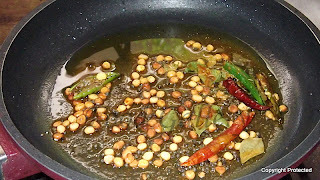 Heat oil in kadai and add mustard seeds. 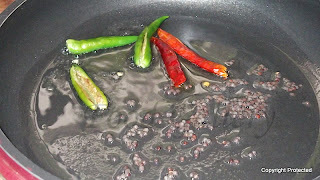 Once they start crackling, add dry red chillies and green chillies. 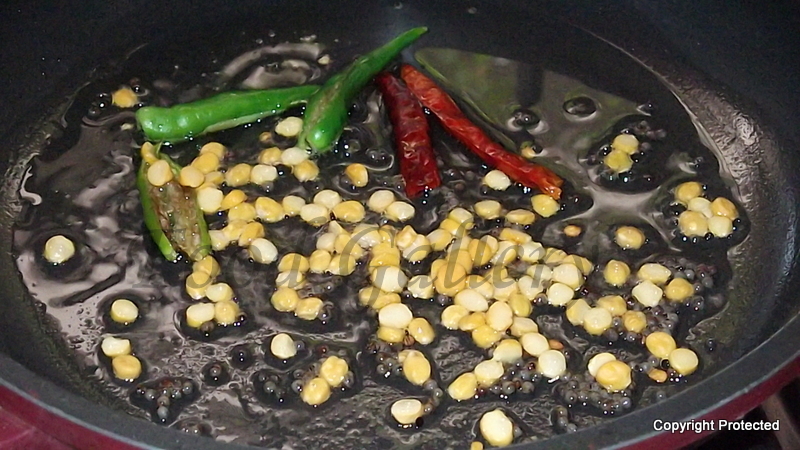 Add channa dal and saute till the dal turns light brown. 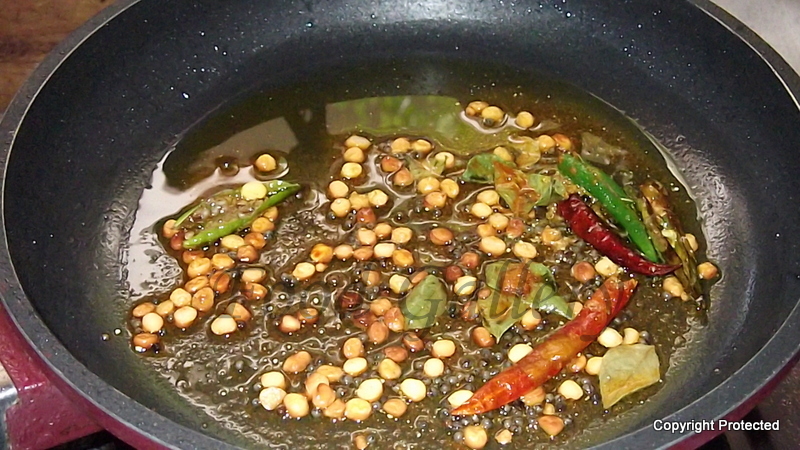 Add the curry leaves, hing, turmeric powder and salt and mix well. 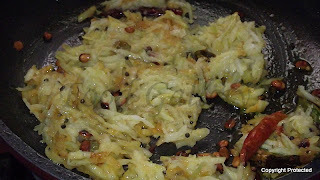 Now add the grated mango and mix well and remove from fire. (Do not cook the mango). 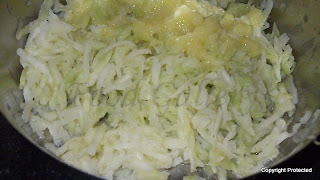 Add this above mixture to the rice and mix well. Tasty & tangy mamidikaya pulihora is ready to eat. Can add groundnuts/peanuts or cashews too. 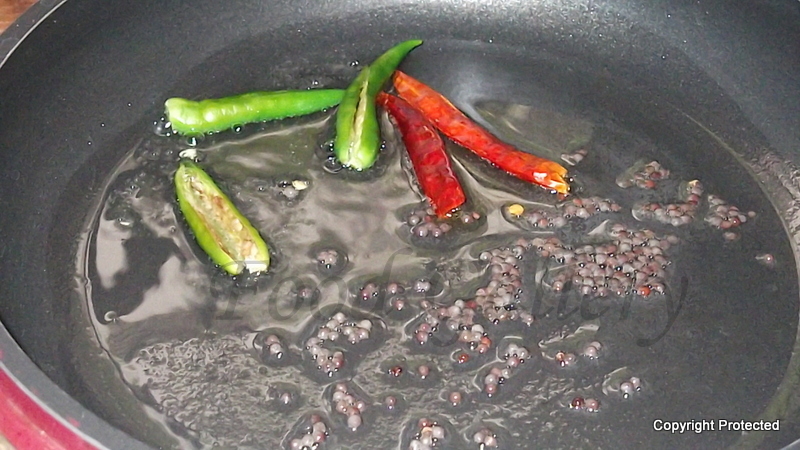 Add them after frying the dal in the above mixture. 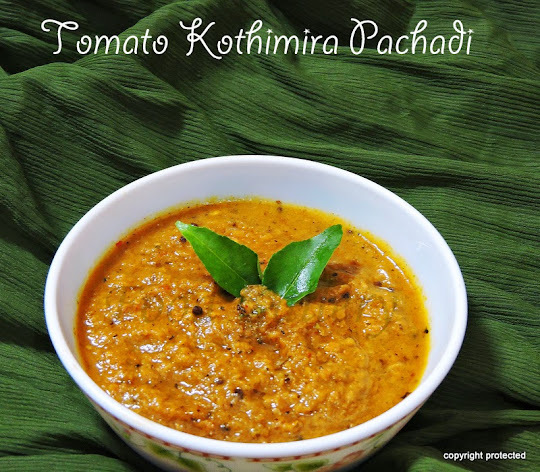 perfect with aloo sabji and pickle..
My brother in law use to make it delicious Love your version. 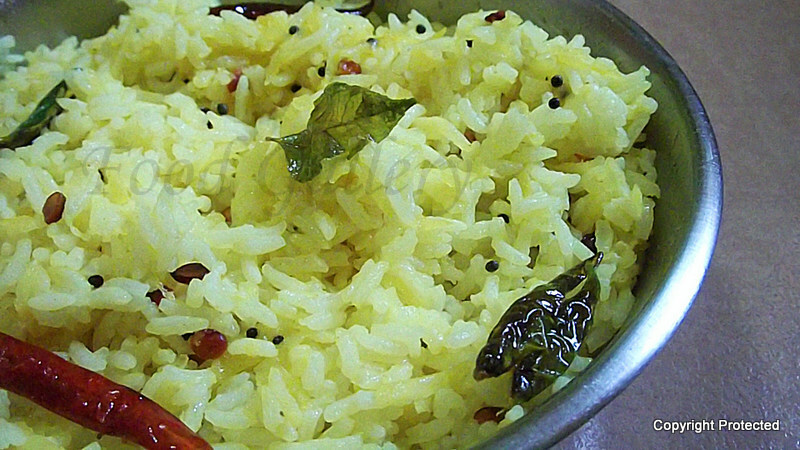 mango flavor in rice, love it.